In the city of Sharakhai, Çeda fights in the pits to scrape by a living. She, like so many in the city, pray for the downfall of the cruel, immortal Kings of Sharakhai. Then on the holy night when the powerful yet wretched creatures known as the Asirim wander the city and take tribute in order to protect the Kings, one of them tells Çeda the origin of their dark bargain. I listened to all 25 hours, so clearly I enjoyed it, but I don't think I'll listen to the future installments in this series. It was about 30% too long, the pacing was uneven, and it didn't end up going anywhere really. And yet I listened to all of it. What three words best describe Sarah Coomes’s performance? Her voice is pleasant, but it is obvious she narrates a lot of romance novels. Her voice could be really shaky, breathless, and dramatic too often. Half the time I liked it and half the time it drove me nuts. Kind of like the rest of the book. 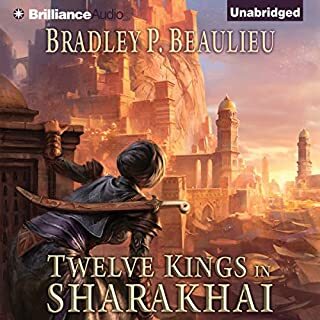 Did Twelve Kings in Sharakhai inspire you to do anything? 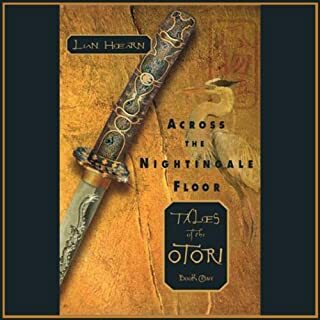 Search out other fantasy stories set in non-Western worlds. 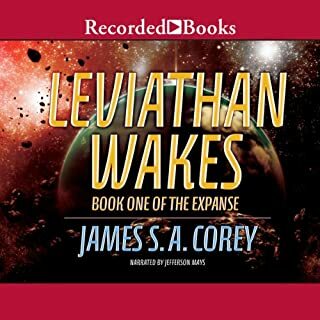 What did you love best about Leviathan Wakes? 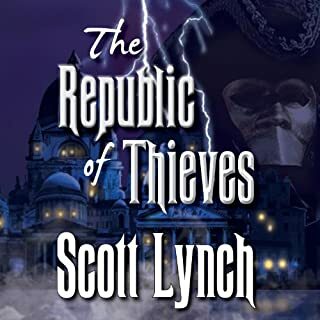 It did an excellent job of establishing the world it was set in, the political stakes involved at all ends, and unfolding the story in a way that made you want to keep listening. Besides being engaging and thrilling, it also made me think. This isn't just a popcorn book. I liked Miller the best - the tormented, homicidal, suicidal ex-cop who is in love with a woman he's never met. Yes. Michael Page is an excellent narrator, and brings this fun tale to life. I enjoyed most of the book, but the last 1/3 lost me. Less repetition in the storytelling - the same events are covered twice by both narrators. The section describing Rupert Angier's trick was overlong - I get that we needed to know how it worked, but there was too much. The faux 19th century dialogue was sometimes too florid for my tastes. Vance is a fine narrator, though. 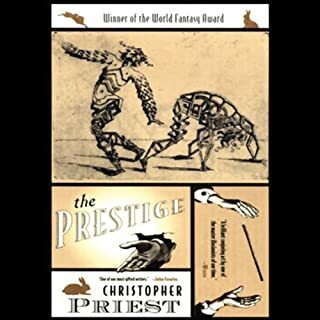 Do you think The Prestige needs a follow-up book? Why or why not? It's not clear what exactly happens at the end. I'm not sure what a follow up book would document, but it would be interesting to hear what happens to the ancestors after the last page of this book. I liked the Japanese setting, which was a nice change of pace from your typical medieval European setting. I'm not sure if I would recommend it. I enjoyed it, but after it ended I had no desire to listen to the other books in the series. The story was perhaps too simplistic, or maybe I was annoyed by the star crossed lover angle. I thought Kevin Gray was excellent - quiet and reserved, much like the protagonist. Aiko Nakasone was not as good. She tended to over annunciate and was reading the story rather than performing it. What would have made Quicksilver better? I wish it had included the other two volumes that make up the print/ebook edition of "Quicksilver." As it is, it is only the first third of the book. This ends after the first third of the book, so there isn't a real ending. I found the ending to the book a bit disappointing, in that after 927 pages not much had actually been resolved. I found it interesting enough to immediately buy "The Confusion," which is the sequel to this book. This is a fast, entertaining book. 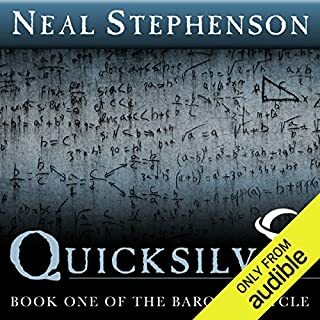 The narrators were good, but it is probably best enjoyed in print form so that you can quickly skim through the parts where Stephenson goes on a long tangent totally unrelated to the story. It was really hard for me to follow what was going on. Gibson is a good writer, but his habit of telling stories from three or four different perspectives without given much backstory or exposition makes it tough to track what is happening. I was lost the first seven hours, and it was only until the second half of the book that I finally started to understand how the threads intertwined. Gibson is a gifted writer, and Jonathan Davis captured the dark mood of the story. 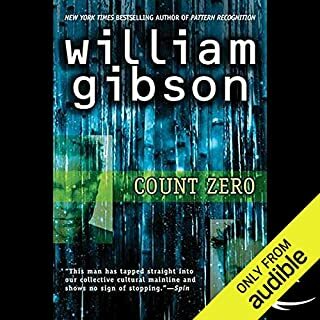 Even when I didn't know what was going on or where Count Zero was going, I kept listening. A hard-faced woman clad in a blue mink stole and dripping with diamonds hires Lew Archer to track down her former maid, who she claims has stolen her jewelry. Archer can tell he’s being fed a line, but curiosity gets the better of him and he accepts the case. He tracks the wayward maid to a ramshackle motel in a seedy, run-down small town, but finds her dead in her tiny room, with her throat slit from ear to ear. Archer digs deeper into the case and discovers a web of deceit and intrigue, with crazed number-runners from Detroit, gorgeous triple-crossing molls, and a golden-boy shipping heir who’s gone mysteriously missing. 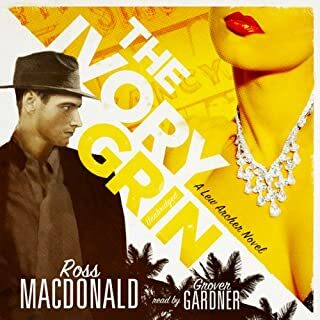 Where does The Ivory Grin rank among all the audiobooks you’ve listened to so far? Ross McDonald is one of my favorite author's and Grover Gardner did his creation Lew Archer justice. The plot is strong, and the narrator captures Archer's world-weariness. Highly recommended. 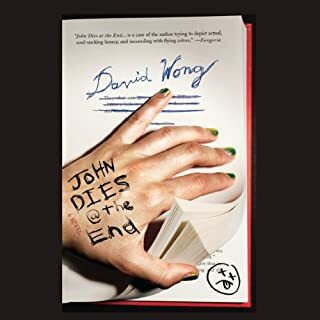 What did you love best about John Dies at the End? The narrator perfectly capture the goofy charm of the book. This book was the perfect combination of goofy humor, surreal imagery, and horror. It made fun of a lot of horror cliches while still being terrifying in places. The only knock I can give it is that its origins as a blog serial are evident in the slightly disjointed nature of the story. M calls this case a "soft option". He sends Bond to Jamaica to investigate the disappearance of the head of the Kingston station. Jamaica is luxurious, and the seductive Honey Rider is beautiful and willing, but they are both part of the empire of Dr. No. 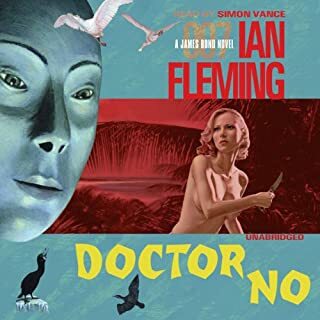 Would you listen to Dr. No again? Why? The performance was excellent, and really brought the story to life. I loved Bond's superspy workout: Run a mile, swim half a mile, sunbathe for an hour, and drink four drinks. I also loved that he had three or four drinks when he was on his missions. Maybe it helped him stay sharp. Yes, Dr. No is sexist and racist, and the action is ridiculous. However, if you can look past the dated attitudes, it's a fun period piece.